A few years ago Honda had an advertising campaign all about making the impossible possible. It was innovative, creative and definitely caught your attention. Dare I suggest that such a strap line could be used by God. He is all about ‘the impossible being made possible’. He is innovative, creative and definitely good at catching our attention. When those who can’t have children start having children, the impossible is being made possible. When God uses a young woman to bring the Saviour of the world into existence, the impossible is being made possible. And that was just the start. Read through the Gospels and you discover moment after moment of impossibles being made possibles. Water into wine. Lame start to walk. Blind get their sight. Dead people being raised. People healed and in put in their right mind. Walking on water. Storms calmed. Multiples fed with a kids lunch. The worst of sinners forgiven. Religion put in its place. Jesus laying down His life for us. His death for our new life. Transformational moments. Impossible made possible. Then you examine your own walk with God and see His handprints all over it. God making moves behind the scenes. Creating opportunities. Bringing about His providential plan. When I reflect I can see where He has moved the pieces. If certain things which I could not make happen had not happened I would not be where I am today. Don’t get me wrong, I was complicit in some of the actions but not in the final outcomes. God working out things from my indiscretions, for my good. Impossible made possible. Where have you seen the impossible made possible by God in your life? 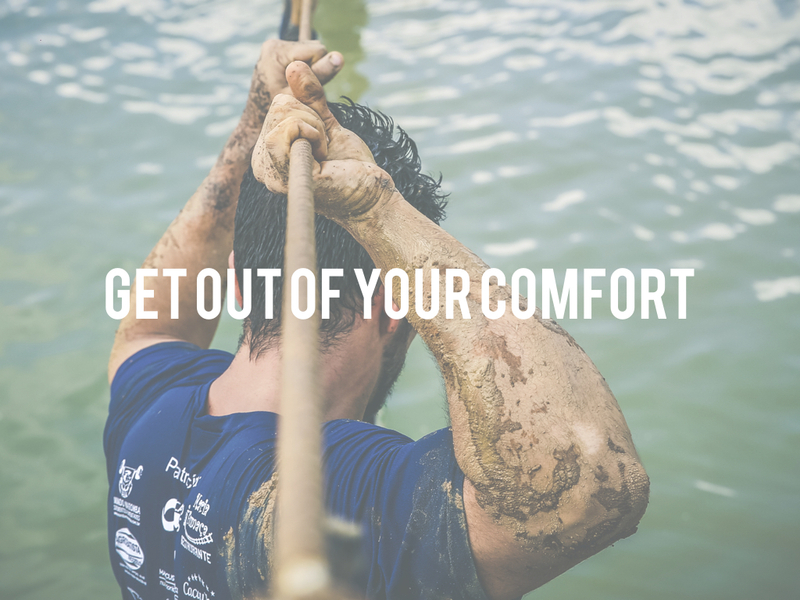 There’s a lot of talk about getting out of your comfort zone and I get that. We fill our days with so much stuff which in reality is of no eternal purpose, both individually in our Christian life and corporately as the body of Christ. We are very comfortable in our faith. A better focus might be to know our comfort zone. 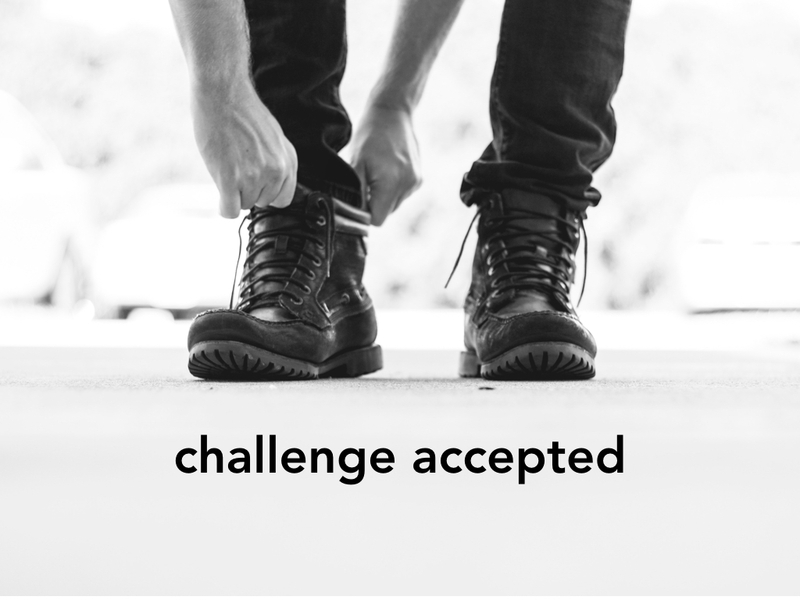 To learn the unforced rhythms of grace Jesus wants to walk and work with us in. To find our best fit. To discover our unique calling and to then ride this wave with all of our effort and determination. To get into my zone I first have to get out of my comfort. I have to give the Holy Spirit permission to convict me to move me. Once I am in the zone, only I am the one responsible for putting the right kind of effort in to it. To bear the best kind of fruit, the God-given destiny kind of fruit, my life has to be about more than just the fruit of my own labours. I am not there yet. Let’s be honest, there have been good days and not so good days. I have frustrations. Yet the only person getting in the way of me building anything of eternal significance with my life is me. So best get over myself, repent, remind myself that my preferences are for laying down and just get on doing what it is I feel God is asking me to do. Every now and then I take a moment to look at how far I have come. Not to boast in my own efforts, but to recognise and acknowledge how far God has brought me. On the other side of where I used to be, God & I have come a long way. On the journey He has done some incredible things, some of which I haven’t even noticed. Yet His plan for my life is taking shape and when reflected upon, it is truly amazing. There are lots of things I have learned about being a better partner in the plans and purposes God has for me. I have discovered all of them throughout the Bible too. Be willing to hear Gods voice. Especially if what you are hearing may not make sense to you. Look at Zechariah coming out of the temple, dumbstruck by what God has said to him. Be willing to obey those words. Especially as others may just think you are crazy or talking plain nonsense. Mary is amazing. ‘Let it be to me according to Your word’. Be willing to embrace the impossibilities of God. Especially when you can’t work out how God could even make it happen. From barren to parenthood. From young woman to mother of the Saviour of the world. Nothing is impossible with God. Be willing to see what God is doing through me. When you hold the promise or see what He has said could happen, has happened. As Mary proclaims, ‘For He who is mighty has done great things through me’. Be willing to magnify Him for all He has done. If only because God deserves all the praise. Rejoice in His plans being accomplished. Remember that God wants us to get where He wants us to go, more than we want to get to where God wants us. 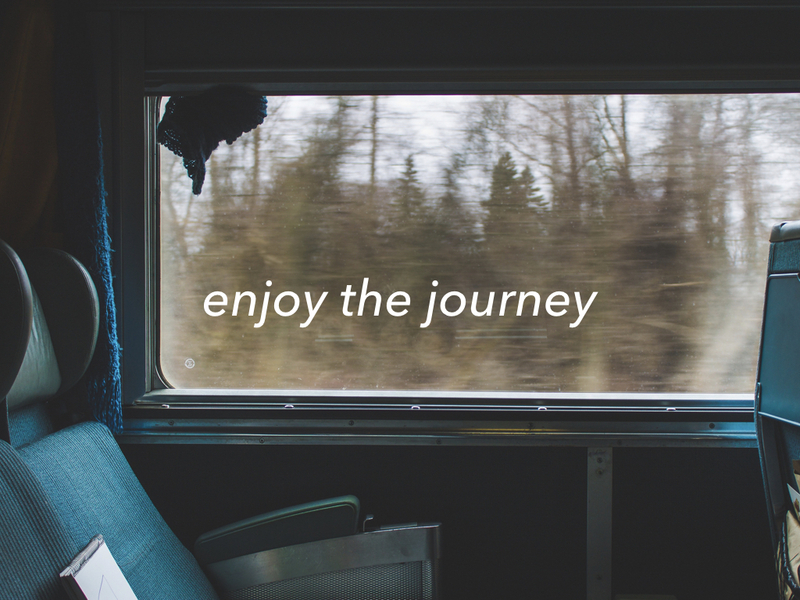 So let’s be willing to embrace the adventure and enjoy the journey has those plans for our own lives unfold. Everyday we interact with others. Everyday how we deal with these interactions can help us win friends and influence people. Or maybe not. Some people seem to be naturally gifted in building relationships, handling confrontation, harnessing the opportunities that new encounters can bring. Some of us aren’t. Instead we focus more on ourselves, our interests, our point of view, our growth and our need for affirmation. To lead well in life is to turn the focus from ourselves on to other people. To intentionally think of them. To take responsibility for playing our part which in reality is the only part we can take responsibility for. Smile. Costs nothing to give. Remember names. Who enjoys being called by the wrong one. 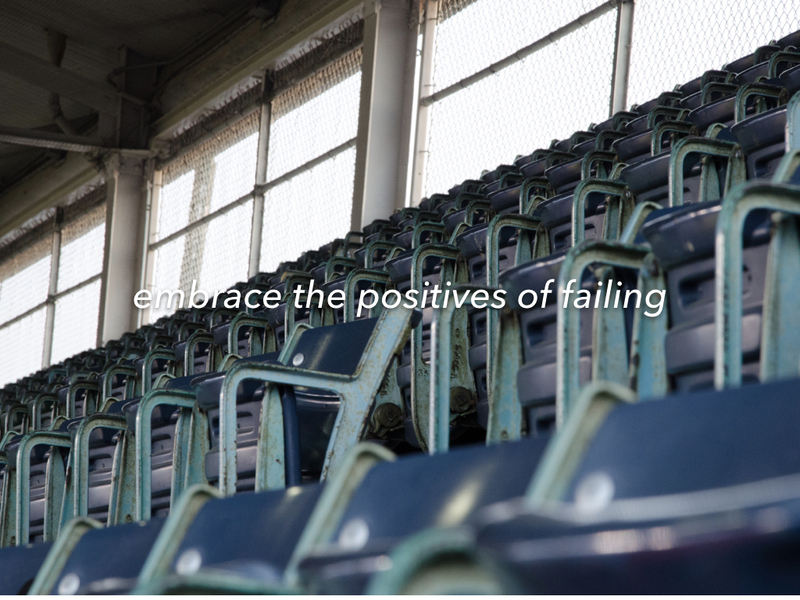 Speak words of encouragement. Specific words show we have noticed something someone has done well. Believe the best of people. This is the difference when we focus on others and not ourselves. We can be too keen to protect our own position because we believe in us more than others. Recognise the power of having the right people around you. People can work with you, help you to grow, stop you from making mistakes, and keep you on track with all you want to accomplish. Pass on what you know to someone. Help others to grow. Pour into another what you have had poured into you. The best of relationships take time and effort. Building anything takes time and great relationships are no different. Don’t compare the depth of your friendships with people with the ones they have with others. Just be a friend, serving and loving them the best you can. Help people to know you better. It’s not that people don’t like me, it’s that they don’t understand me. Or I could put it another way and say it’s that they don’t know me well enough. When we focus on these things we sharpen others. We make them better. We brighten their countenance. We lift them. We put a smile on their face. We put a spring in their step. We become someone known as someone who is all about helping others to flourish. The alternative is way too selfish and doesn’t bear thinking about. 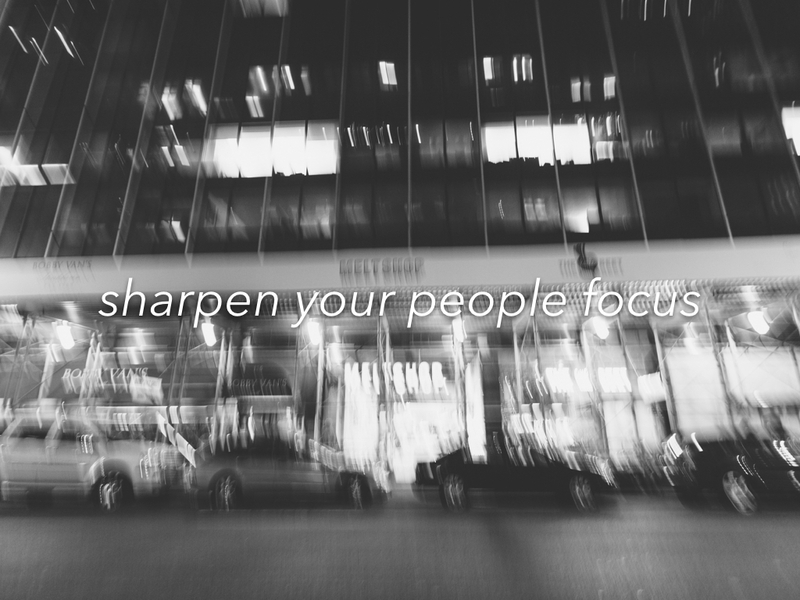 How do you sharpen your people focus? God is the creator of reset moments. Creation. The flood. Tower of Babel. Even through the Law, along with the different feasts and festivals. The Day of Atonement. Sabbath days. Sabbath years. Jubilee. Jesus is the ultimate reset. He is our Jubilee. Just like the Jubilee for the Israelites saw a release for slaves, a reversion of property and a removal of debt, Jesus did the same for us. Through the cross He bought us freedom for sin. It is the ultimate reset moment. To be born again. To be realigned with God and the plans and purposes He has for our life. Putting God first is the moment of reset God has created for us through Jesus. We are surrounded by reset opportunities. Every 24 hours a new day. Every 7 days a new week. New months. New seasons. New years. All giving us the power to make a fresh start. Yet some of us have already written off this year and waiting for 2018. We don’t need to wait. We just need a reset moment. Little things can make a big difference. One behaviour can tip into others, then we may become unbalanced and out of rhythm. When we are out of rhythm it can have a knock-on effect with those closest to us. Be it in work, health, family, finance, relationships or your marriage. In order to rebalance and get ready for a new flow and rhythm and come into God’s rest we need to be obedient to what God is asking. So here’s the question: where would God say ‘trust Me’? Where could a reset help us? Come to Jesus. Press the rest button. Cast our cares on Jesus. Do it to remove those things which stand in opposition or competition to Jesus. 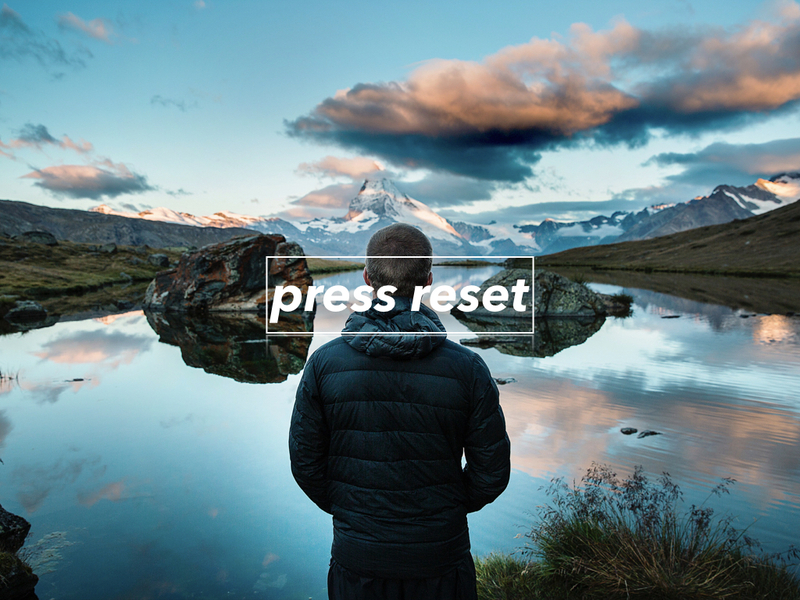 Press reset to be set free. To take our hands of the drivers wheel of our life and give Him control. Make space for God to move, to hear what He may ask us to do and then respond in faith and be obedient. The reset moment then creates helps us to get in sync with the flow and the rhythm which Jesus is inviting us to participate in with Him. And I am thankful for moments which create such opportunities. Be brave today. Come to Jesus and press reset. What would that look like for you? We measure the wrong things sometimes. We look at what we have or what we don’t have and use them as the measure. Such a method is not wrong except what we end up with may just be a bunch of numbers which in reality don’t mean very much. Success in building church can be very subjective but it has to be about more than bums on seats. It’s even got to be more than hands raised in response to a salvation prayer. 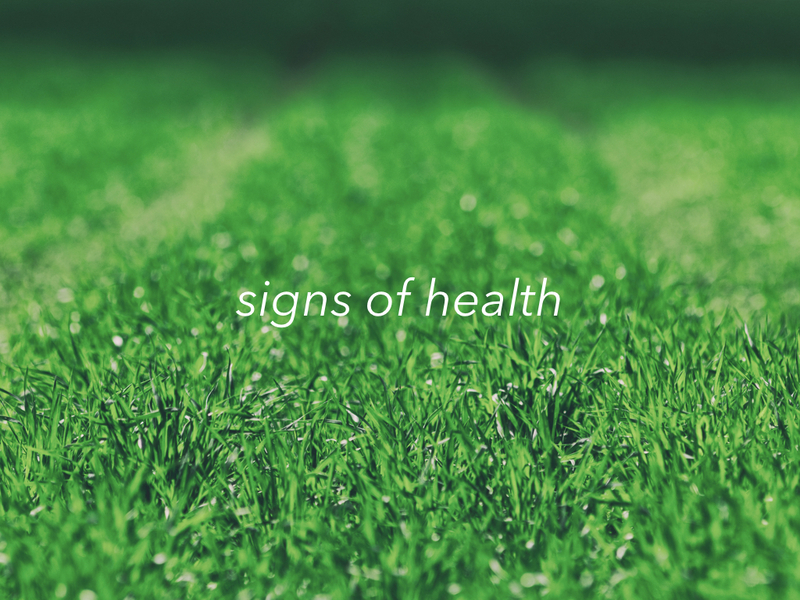 We have to look for the right signs health. Metrics have their place but they should never just be for collection. They can however, prompt the right kind of conversations as a representation of what’s happening physically with people. How many are turning up to things, to Sundays? How often are they coming? How many salvations? How many baptisms? How many in Groups? Or doing the Growth Track, Alpha or any other think we could probably have a count for. The other stuff can be more problematic and harder to define, yet possibly more important. Instead of recording how many did something, these measures represent spiritual vitality, a persons walk with Jesus and how they live it out. Some of the following can help us discover what’s really happening inside the person, after all, attendance doesn’t necessarily mean growth. You would hope for some correlation but its not always guaranteed. Hearing how people are moving one step further in their walk with God. Discovering the way people take their Christian faith into the world in which they live. Helping people discover and use their spiritual gifts. Seeing disciples making disciples. People are bringing people to help them meet Jesus. I think these fit better with the definition God would give to success. It is less about achievement and more about who we are as we achieve. Geared more round the growth of our character, becoming more like Jesus and the spiritual leadership we demonstrate every day. You may have a different view and add other things to this list. I would love to hear what you think.